Google is taking a strong stand on internet security. Beginning in July 2018, Chrome will begin to flag all ‘HTTP’ websites as “not secure”. This is important for everyone with a website, even if you do not have an ecommerce site or require secure password logins for users. Why does HTTPS matter to you? Until recently, websites without ecommerce, or the need for password-protected access, utilized the HTTP (Hypertext Transfer Protocol) protocol. This prefix to a website address is the mechanism by which data between your browser and the website you are connected to is transmitted back and forth. In other words, how you are able to see the text and images on a website. 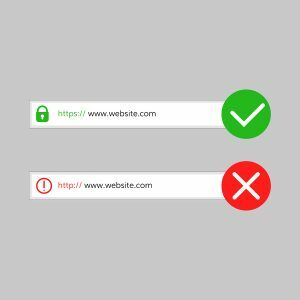 HTTPS is the ‘Secure’ version of HTTP, which means all communications between your browser and the website you are visiting is encrypted so no one can jump into the middle of data transmission and tamper with your computer, your website, or otherwise spy on you. Chrome’s newest version will warn users with an extra notification in the address bar when you attempt to visit a non-secure (HTTP) site. Websites with that are HTTPS encrypted will display a green lock icon and “Secure” sign. If you have an unsecured website, not only will visitors receive a security warning when they go to your site, but Google down-ranks unencrypted websites. Conversely, when you use an HTTPS secure protocol, your website will get an SEO boost. SEO stands for “Search Engine Optimization”, and is the process of getting “natural” or “organic” traffic to your website. When you use a search engine such as Google to scourer the internet for information, after the ads at the top of your search, appear “natural” search results – the ones companies aren’t paying for. The first and second pages of your search are the highest-ranking sites, considered most relevant, and often as far as someone goes in their search for information. Google is the world’s most popular search engine, so that is why we pay attention when they make such a decision as this one. This layer of security via HTTPS is provided by an SSL (Secure Socket Layer) which encrypts all data transferring back and forth to keep websites and consumers protected from third parties (hackers). This SSL protection is provided to websites through an SSL certificate which creates the secure encrypted connection between web servers and web browsers. This is important because information on the internet can be passed from computer to computer on its way to a server. In other words, any computer between you and your server can see your information including credit card numbers, login information, and any other sensitive data that you would not share openly. Without a secure connection, as provided by an SSL Certificate, this information is just too vulnerable. Chrome is now making a forceful move to get all websites encrypted. While this may seem heavy-handed, Google has the chops to highly influence the internet, and this move will make the Web safer for everyone. HTTPS is more accessible than ever before, and it opens the doors for better performance and new features that are too sensitive for HTTP. This ultimately is a good move for all websites. What’s a Website Owner to do?! Whew! Ok, that was a lot of acronyms! 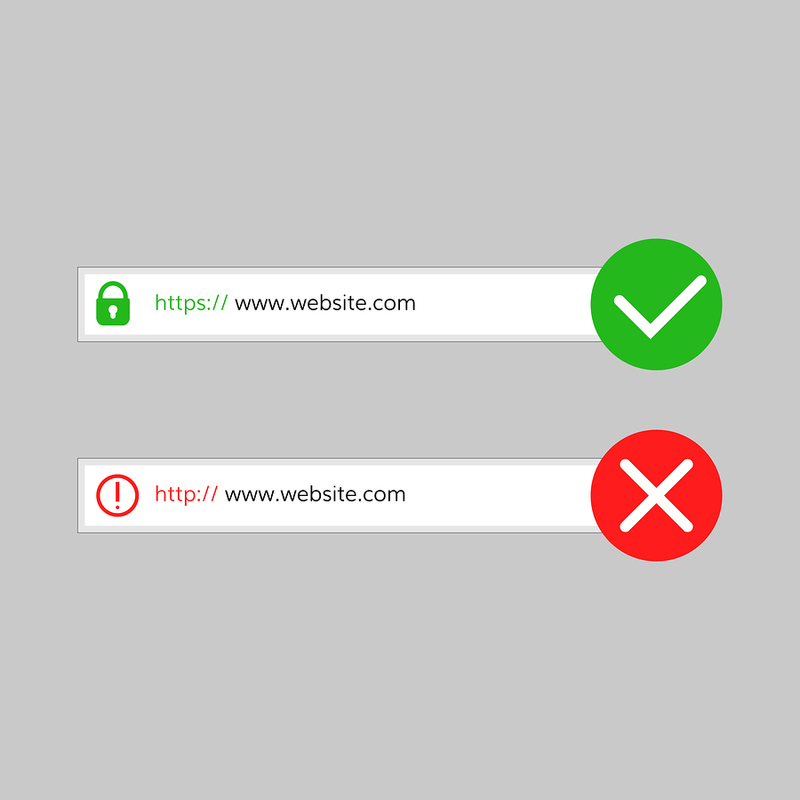 So bottom line is: if your website is not HTTPS encrypted then internet users will begin to get security warnings when they visit your site if they are using Google Chrome; to migrate your website from HTTP to HTTPS you will need to install an SSL certificate; installing an SSL certificate is a manual update action that is not for website novices. You can purchase and install your own SSL certificate, but you will need to know and understand quite a few technical pieces to do so successfully. In addition to purchasing the certificate and downloading it, you then need to upload it to your website and be ready to address several scenarios that will impact your success such as the type of server you are using, the software of your hosting provider, just to name a few. You can contact your hosting provider for assistance, and they will charge you for both the SSL certificate software, as well as potentially an hourly or flat rate for assisting you with the migration. Or you can hire an independent IT professional to help you. Basically, you get what you pay for with web hosting. Companies like to keep their hosting cost cheap (because we all like cheap), but then they nickel-and-dime customers for any extra such as email, software upgrades such as this one, and a myriad of other add-on’s. Better Answer: Choose Zebralove Web Hosting! At Zebralove, while our hosting costs may be slightly higher, that is because the services we provide are far superior. We maintain continuous security checks on all our hosted sites, perform consistent updates and other maintenance, offer and set up your emails associated with your website, and we have transitioned all our clients to HTTPS at no extra costs. We also never charge for migrating sites over to our hosting – so there is no reason to wait – this is a perfect opportunity to upgrade your web hosting to Zebralove and we can take care of this HTTPS issue for you as part of your regular service costs. Do you know a business owner having a problem installing HTTPS? We are offering a 20% off YOUR hosting for 1 year for every person you refer to Zebralove Web Hosting!